We are excited to announce the 8 organizations selected to participate in Putting Films to Work, a year-long training institute for Georgia-based nonprofits that will leverage the power of documentary media to advance their organizing, educational, and advocacy goals. The program is designed to help organizations embrace nonfiction film as a critical resource and a natural component of what they do; resource the organizations and individual leaders with specific films and the skills to put them to work; and increase the strategic use of documentary films in community settings, creating more opportunities for Georgians to engage around issues of critical social and environmental importance. 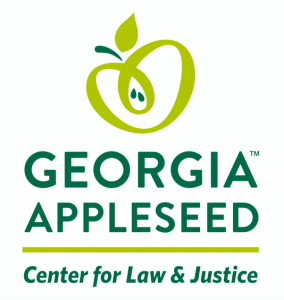 Georgia Appleseed increases justice in Georgia through law and policy reform and community engagement to ensure that the voices of poor people, children and marginalized people are heard and injustices that no one should endure are resolved. The Georgia Asylum and Immigration Network’s mission is to provide free immigration legal services to victims of crime and persecution. Since 2005, GAIN programs have helped over 5,000 people and provided millions of dollars in pro bono legal services for asylum-seekers and immigrant victims of human trafficking, domestic violence, sexual assault, and other crimes. GAIN’s vision is safety, freedom, and opportunity for all. Georgia Justice Project strengthens community by demonstrating a better way to represent and support individuals in the criminal justice system and reduce barriers to reentry. GJP promotes innovative change through direct legal representation, policy advocacy, education and coalition building. 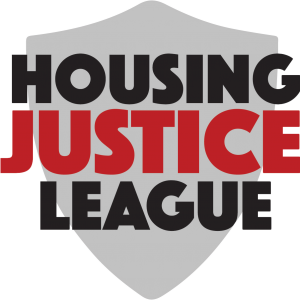 Housing Justice League is a grassroots, member-led organization that seeks to build power in Metro Atlanta neighborhoods highly impacted by the housing crisis. By mobilizing communities around foreclosure, eviction, tenant rights, and public land rights — with an emphasis on leadership development and fostering a culture of resistance through non-violent direct action — HJL is transforming Atlanta’s approach to housing driven by the belief that housing is human right. Quest develops affordable housing and provides needs-based community services to enhance the quality of life for underserved individuals and families. By developing, and integrating affordable housing with support services, individuals receive transformative resources which increase their chances of achieving long term housing stability. La Gender, Inc. Is a non profit organization led by African-American trans women that empowers, and lifts up the spirits of transgender woman of color in the metro Atlanta area. La Gender strives to brighten, improve the qualities of lives, and assist trans women and youth clients. La Gender, Inc. Is a standing point to take on challenges of being a trans woman. Access to stable housing is critical for individuals and families living with HIV/AIDS not just as a matter of maintaining human dignity, but also because it is the proven foundation of effective medical treatment of HIV and the springboard for lasting life transformations. Living Room’s mission is to ensure stable housing and improved health through housing support for people living with HIV/AIDS.